Raptor Jesus is a total hack. Don’t waste your time praying to this false prophet. How dare you betray the mighty raptor Jesus. Your soul shall burn in hell for eternity. And your kids will become gay. 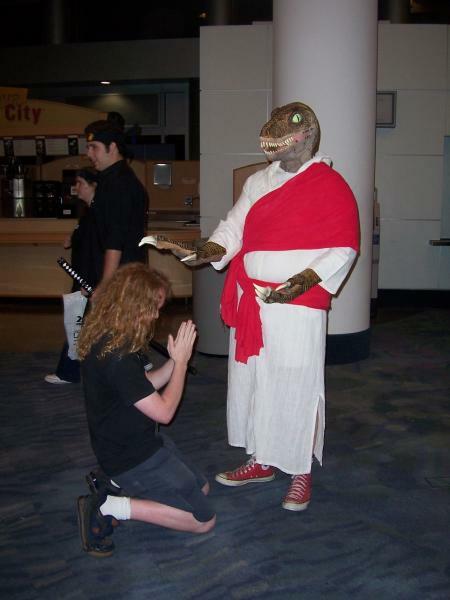 RAPTOR JESUS WENT EXTINCT FOR YOUR SINS. Emo Jesus cut himself for your sins. And Republican Jesus bought a Ferrari for your sins. Nerdy Jesus formatted C: for your sins. Republican Jesus bombed a third world country for your sins.